China Book Printing, manufacturing in Asia. Custom Books for Self-Publishers. 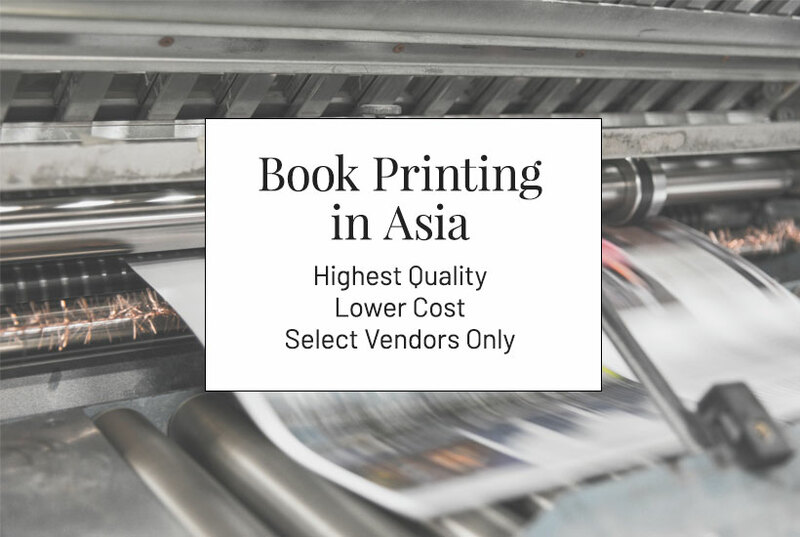 The Asia – China book printing service. Custom books and printing that saves self-publishers up to 70 percent over USA printing costs. Our China book printing is not actually from China, but it’s a great keyword for web searches! We print in other countries in Asia. We print custom books that are of higher quality than USA books. They have a lower unit cost than US book printers. Our China book printing service is in Bellevue, near Seattle. We manufacture custom books for self-publishing authors, with an emphasis on accurate color reproduction, quality printing, and sturdy bindings. Our niche is custom books. We print photography books and coffee table books. We manufacture custom books of all kinds custom options that are hard to find elsewhere. Star Print Brokers offers custom sizes and finishing touches not found with print-on-demand services. We are known for large format, custom books. Our clients are worldwide, as well as in the USA. We work with local self-publishers in Seattle and Bellevue too. First of all, we match a book’s specifications to the most the vendor that is best for your book. We source the best presses and bindery for your book, and we have a handful of trusted vendors who print many titles for us. They work for us. We don’t work for them. We work for our clients, only. We receive low trade pricing because we print books in volume. Self-publishers are not charged extra for our services. In addition, we always maintain high-quality standards for Asia and China book printing for custom books. If you are familiar with China book printing, then you will definitely appreciate us more, because we manufacture better books. We also provide higher quality and stand behind the books we print. Our select vendors are pre-approved, and we have very high standards. Facilities, equipment, and personnel can change. We are constantly reviewing products and workmanship to ensure quality. Printers always say they print beautiful books. But, what if something goes wrong with China book printing or Asia custom books? Will they stand behind their work? They always say they will. What good is it to print 2,000 books when only 1,500 are in condition to sell? What will you do if a printer won’t make it right? Our experience and knowledge is extensive. Consequentially, authors and publishers never have outstanding problems. You will receive one quote. But, behind the scenes, our staff sources the lowest cost among vendors that are the best fit for your book. Book quoting includes DDP delivery, duty paid, and in addition, we disclose all costs that we are able to anticipate. We also design books and book covers. We can convert any file to an ebook. Star has in-house book design, yet we work with top overseas designers too. Do you have your own designer? Great! We work with you and them to help you print the best book possible. There are book design options for almost all budgets! If you want to go it alone, typically with books, other than novels, the software most often used in Adobe’s InDesign. It is not for inexperienced designer! Once you have signed an agreement with us, we can send you the measurements for the cover or cover wrap, and dust jacket, if applicable. The paper thickness and number of pages in the text determine the spine width. Since we have so many custom options in addition to this variable, we will provide the measurements to you once the page count is final. Any other custom book printing options will also need to be final in the quote, as they too many affect spine width and dimensions. It is just one more step in our process of Asia and China book printing. We manage the Asia and China book printing and projects for self-publishers. Our staff offers advice if authors need help with color, files, and book construction. We discuss physical proofs, press proofs, customs, delivery, and more. References are available upon request. Take a look at our testimonials. Custom shipping carton manufacturing is part of what we do, as is custom book manufacturing. We follow shipping from foreign port to your door. Shipping takes 9 to 11 days to port. It is a few days longer to the East Coast. More time is needed to print in Asia. The trade-off is lower cost and top Star quality. We ship to USA West Coast, East Coast, Europe, and almost anywhere in the world. Star handles customs and all communications. All quotes are DDP, which is ‘Delivery Duty Paid’. Shipping and duty are in the quote unless we state otherwise. Books carry insurance until delivery to the door. In conclusion, Star Print Brokers handles all foreign communications for Asia and China book printing for custom books. We have access to more than 40 commercial printing presses. As a result, we custom manufacture hardcover, hard case, soft cover, paperback books, board books, and Wire-O books. In fact, we manufacture books of almost any size, including both with landscape orientation. Full disclosure: The term ‘China book printing’ is a high ranking keyword in terms of SEO, or Search Engine Optimization. We don’t print in China, rather, we do print in other countries in Asia. We drive more traffic to our website using this search keyword for our custom books. Call (844) 603-1777 toll-free, or (425) 603-1777 in the Seattle area, since 1999. You can request a quote today for custom books!